Whether your meatloaf tends toward the traditional ground beef, eggs and breadcrumbs or you prefer a more modern recipe featuring ground turkey and egg whites, you'll find a meatloaf meal can satisfy almost anyone’s taste buds. Plan a meatloaf menu to feed the family, rounding it out with green vegetables, potatoes and a delectable dessert. Your family will appreciate the old-fashioned simplicity of a meatloaf entre. If you have leftovers, make meatloaf sandwiches the next day. Choose the meatloaf recipe you wish to use, with the ground meat you desire. You can make meatloaf with ground beef, pork, lamb or turkey. 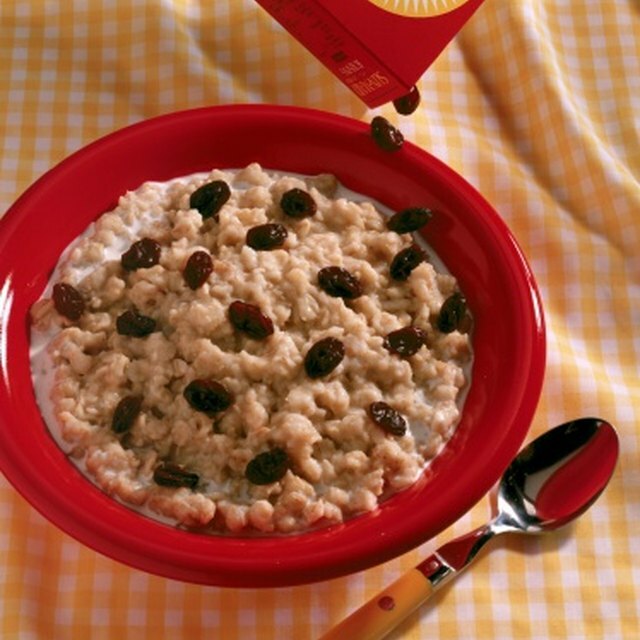 Meatloaf recipes also include some sort of binder such as breadcrumbs, crackers, oatmeal or rice, and a liquid such as milk, eggs or tomato sauce. Select the carbohydrate accompaniment for your meal. An old-fashioned meatloaf meal often includes potatoes in some form. Mashed potatoes with gravy, hash-brown potatoes or au gratin potatoes all complement meatloaf well. Alternatively, you might choose a rice dish such as rice pilaf to serve with the meatloaf. 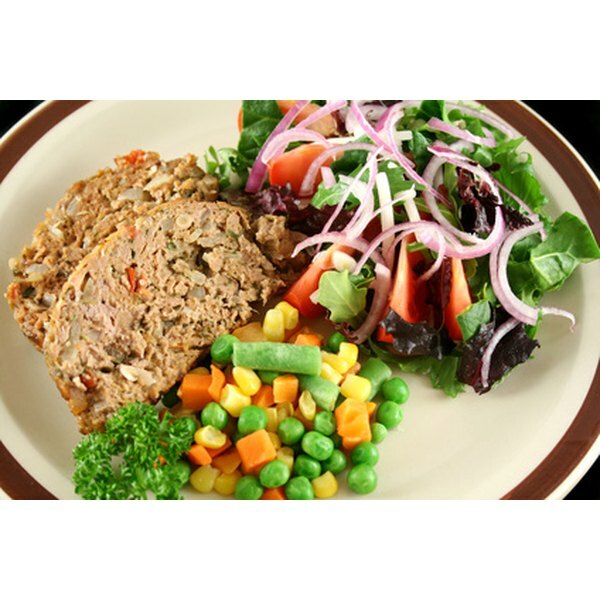 Choose vegetables and a salad for your meatloaf menu. Any cooked vegetables, such as green beans, corn, asparagus or broccoli can add both taste and visual appeal to your meatloaf meal. Make a tossed salad with tomatoes, cucumbers and croutons to serve with the meatloaf also. Serve a delectable dessert to finish the meatloaf meal. Ice cream, cake or a fruit pie would make a suitable dessert. An old-fashioned choice might include bread pudding or strawberry shortcake. An advantage of making meatloaf is the flexibility in ingredients. You can successfully make meatloaf with a combination of ground meat, binders and liquids. Combine these ingredients to make a thick mixture and then place it into a loaf pan or a casserole dish. Make your meatloaf lower in fat by using ground turkey and egg whites in your meatloaf recipe. Reduce the sodium content of your meatloaf by reducing or eliminating salt in the meatloaf recipe. One pound of ground meat (either one kind of meat or a combination of meats) makes a meatloaf that will serve four to five adults. What Are the Sides for a Meatloaf Dinner? How Long After Cooked Food Is Frozen Should It Be Eaten?